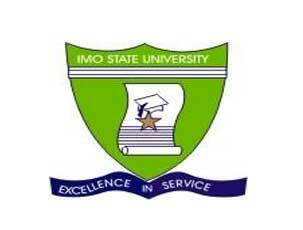 The management of the Imo State University (IMSU) has released the registration guidelines and procedure for fresh and returning undergraduate students for the 2018/2019 academic session. IMSU Registration Procedure for Fresh Students. Then click on “Verify Account” to generate portal login details. Click on “change password” to change your password. Print out the Profile Acknowledgement Slip. Print your invoice and proceed to the any bank to pay using your Remita Retrieval Reference Number (RRR) code on the invoice. After successful payment in bank, return to the portal http://31.222.174.143/IMSU/ and login with your account details to print IMSU school fees e-receipt with the RRR code on the invoice. Click on Register to select the approved courses for your department and level. Click on Register Button to register the selected courses and print Course Registration Slip. Click on View Results menu. Select the required ‘session’ and ‘Semester’. For students having issues with the above online payment process should contact IMSU ICT specifying the issue and challenges you might be having. IMSU Registration Procedure for Returning Students. Get account details with the REG NO/MATRIC NUMBER as the default username and password. Proceed to any FCMB branch within Owerri with your payment invoice. Return to Students affairs for capturing and submission of your Clearance form.